The Calypso Inset Sink from Franke, is made from a ceramic material and finished with a white gloss glaze that is both hard-wearing and stain resistant. This Calypso ceramic sink can be installed directly into a worksurface aperture and is reversible. Franke Sinks carry a 50 year manufacturer guarantee to be free from manufacturing defects. Waste and plumbing kits are available separately as are the following accessories: White drainer basket, transparent strainer bowl and the Mahogany chopping board. 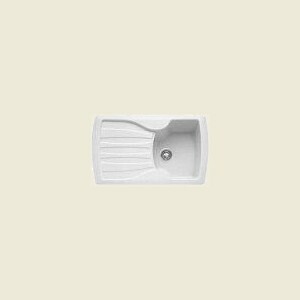 Category Link: Ceramic Sinks is where you will find other items in the Ceramic Sinks range. Brand Link: Franke is where you can view other items in the Franke range.